It’s been said that the altar is the heart of ritual and worship. 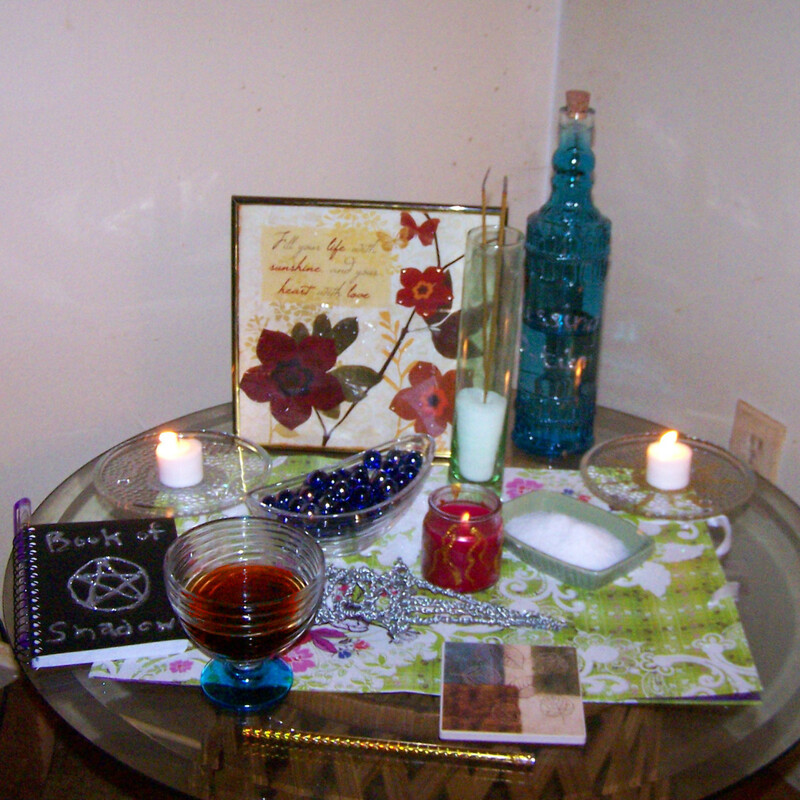 No matter how elaborate or how simply your rite, your altar is going to be a major focal point. It’s where you lay the sacred tools, components for your spells, things for blessings, offerings and anything else your ritual might be about. 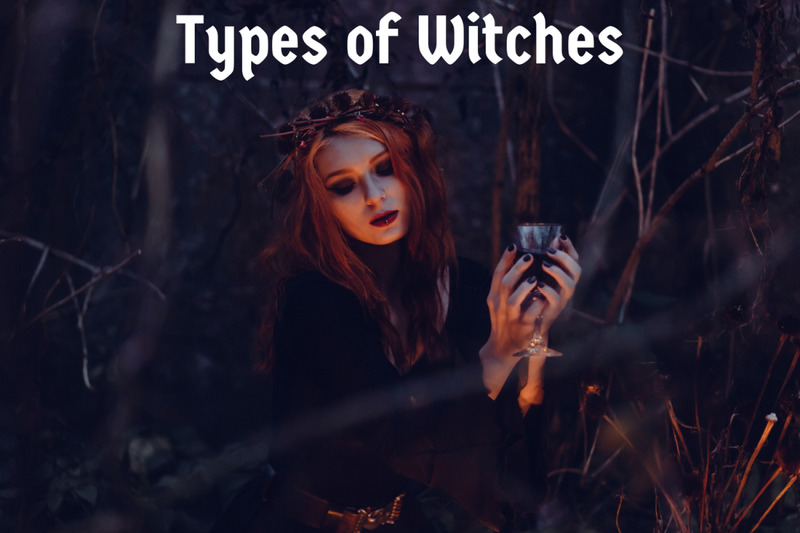 When you’re new to Wicca, you read about a lot of processes, tools and procedures that can be confusing. My goal in my hubs is to help simplify and inform. In this article, let’s tackle the altar—how do you create one for practical use? 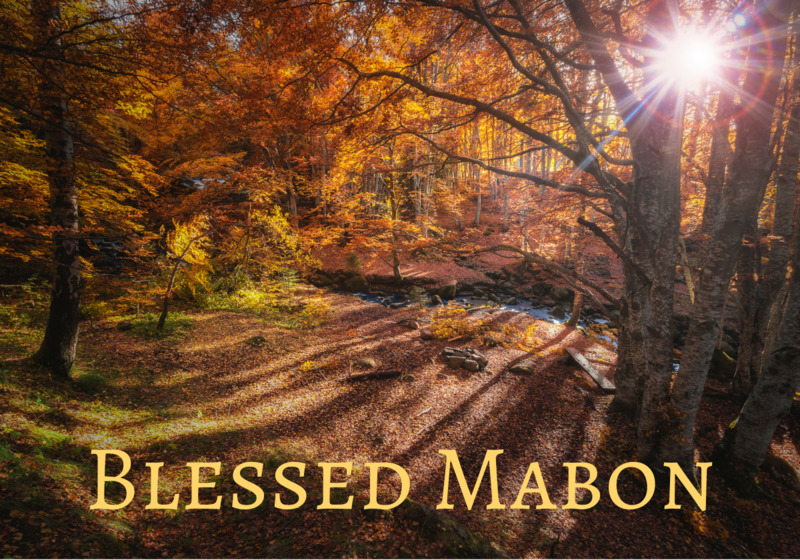 For the purpose of this article, I’m restricting to discussion to altars built for standard rituals—Esbats (moon celebrations) or Sabbats (sun celebrations). Your altar can be anything you find comfortable to work with. If you’re erecting a permanent altar, make sure it’s somewhere that’s out of the way so it can lie undisturbed, yet in a convenient place for holding rituals. 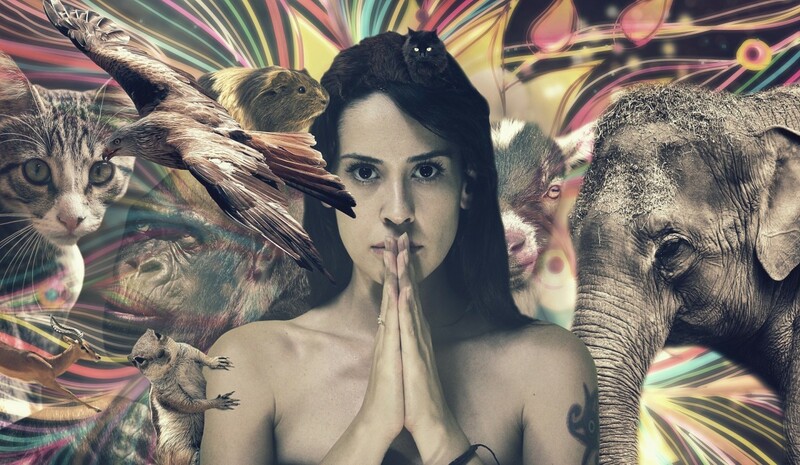 If you are looking for an altar that you can set up and break down for each ritual use, a good option is to choose something that will also house your tools. It’s convenient to just open up a dresser drawer or side table cabinet, pull out what you need and put it right on top of the altar. A great Wiccan tool guide for beginners. What Goes On the Altar? 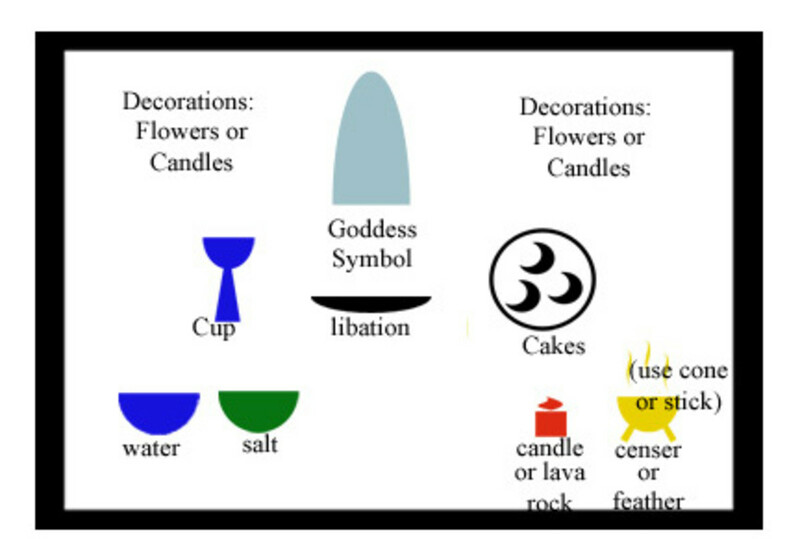 Representations of Deities: picture, candle, statue, etc. Representations of the Elements: for Air, a censer, fan, feather, etc. ; for Earth, a bowl of salt, cornmeal, sand, etc. ; for Fire, a candle, lava rock, electric candle, etc. ; for Water, a bowl of water, seashell, small mirror, etc. 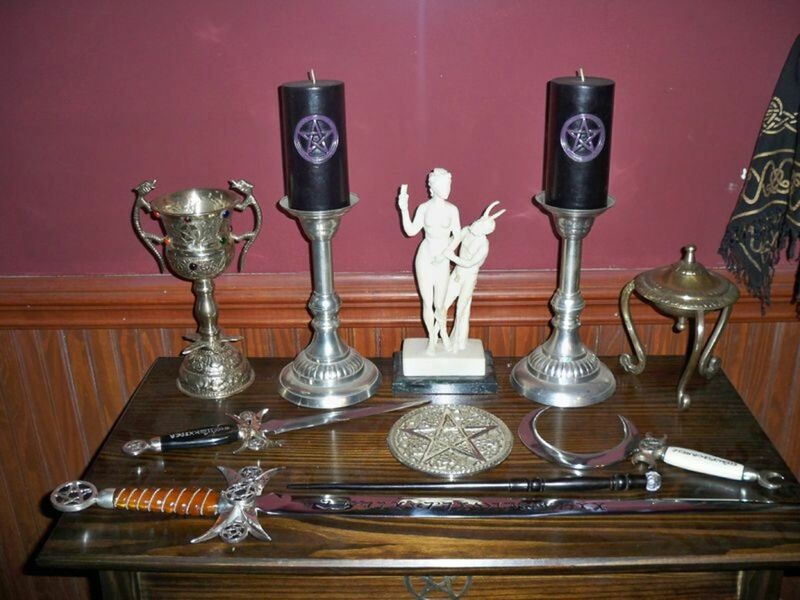 Traditional Wiccan Tools: athame, wand, pentacle, cup, book of shadows, etc. 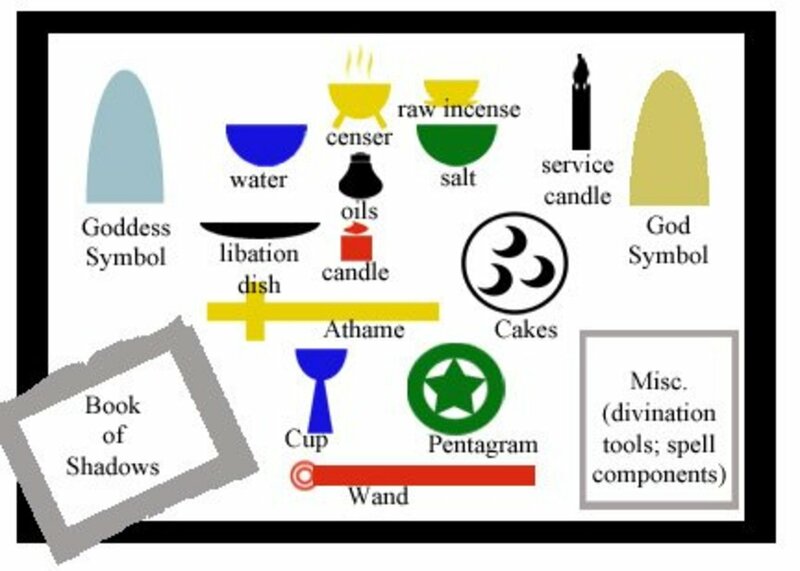 Miscellaneous: service candle (a white taper to light all other things); candle holders; libation dish; cakes and ale; spiritual objects (crystals, charms, talismans, etc. ); divination tools (if using them); spell components (if doing magical workings); decorations (flowers, holiday decorations, etc.). How you lay out the altar is, again, a matter of preference. A lot also depends on your space and what kind of things you’re putting on there. Here are some suggestions (again, not rules). Naturally, the altar cloth would be laid first. 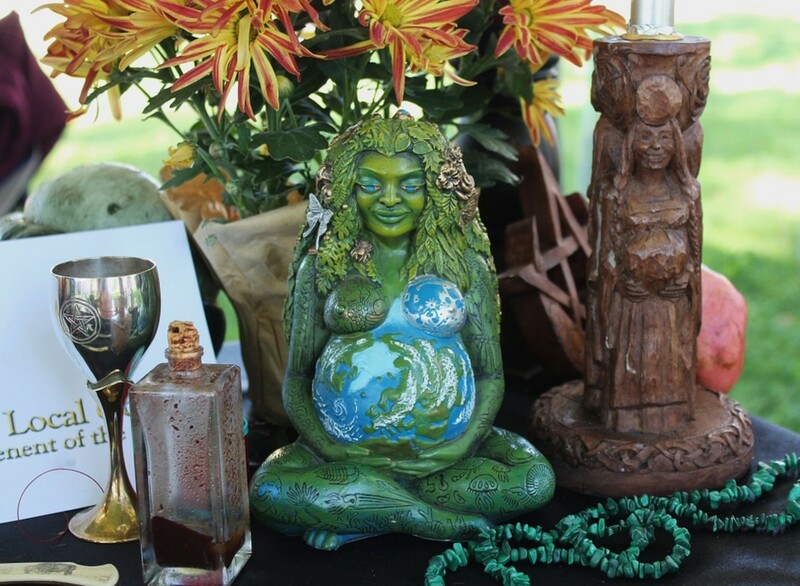 Water and Earth can go on the left (Goddess) side of the altar since they are feminine elements; Air and Fire can go on the right (God) side of the altar since they are masculine elements. Put them on the altar front and center for convenient handling, aligning them with quarters if desired. 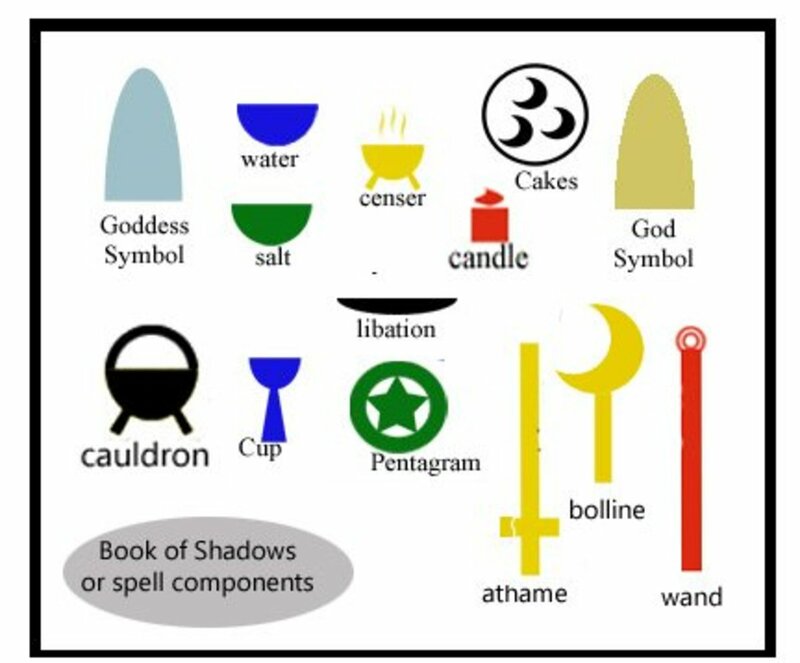 Put the pentacle and cup to the left (feminine symbols) and the athame and wand to the right (masculine symbols). 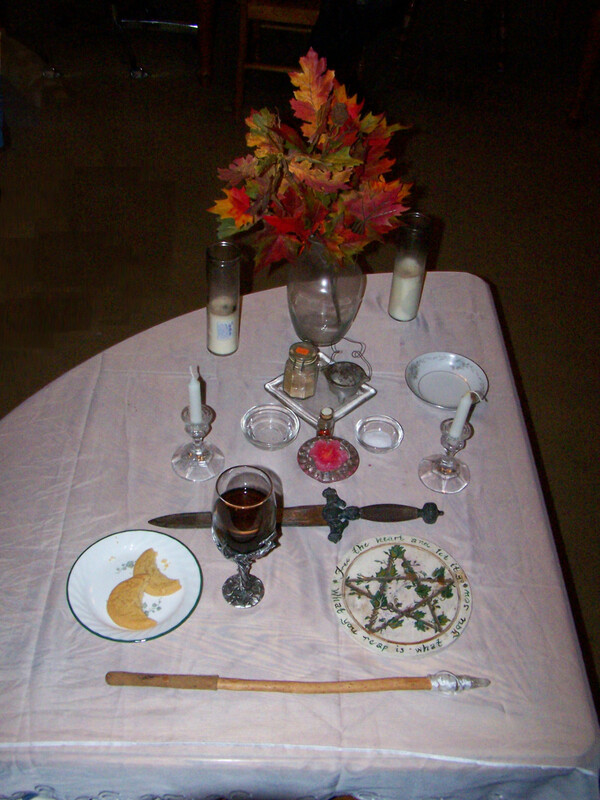 Put the pentacle in the center, lay the wand and athame across the edge of the table for convenient grabbing, and put the cup off to the left side. Sprinkle Miscellaneous items where you like, and where they feel appropriate, and where they won’t be inconvenient. Logic dictates taller things such as pillar candles and vases of flowers are put perhaps toward the back out of the way. Smaller things may be placed to fill in spaces throughout. Large baskets, cauldrons, etc. might be placed in the center, to the side, or even on the floor next to the altar. Remember, nothing is written in stone. Try it one way, then tweak the layout until your come up with one that you find both convenient and pleasing. Once you have it, don't forget to sketch a diagram into your Book of Shadows. 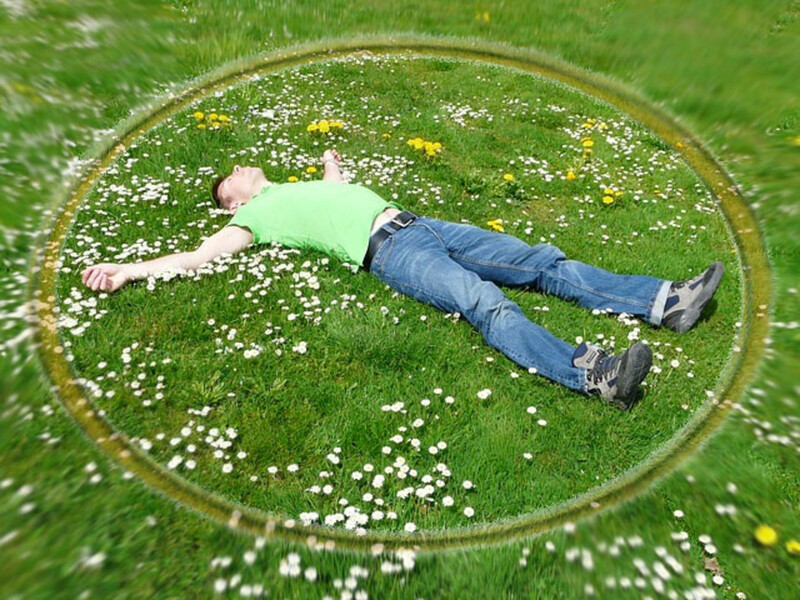 -What if your religion isn't wiccan but involves (very strongly) wiccan practices and magic? Do you represent your deity on the altar still? Your Deity can be of your choosing. If it's a god or goddess you're interested in learning about or something to that effect. Just make sure to invite them to your altar. And do your research on your deity chosen. But yes it's important to have one. -Would you recommend I buy or make a wand? Any wiccan shop recommendations doable in Ohio? That is your personal preference. You don't have to use a wand in your practice. You can use a athame which is a ceremonial dagger. Along with other things. As long as you can point and you feel comfortable. Your good. 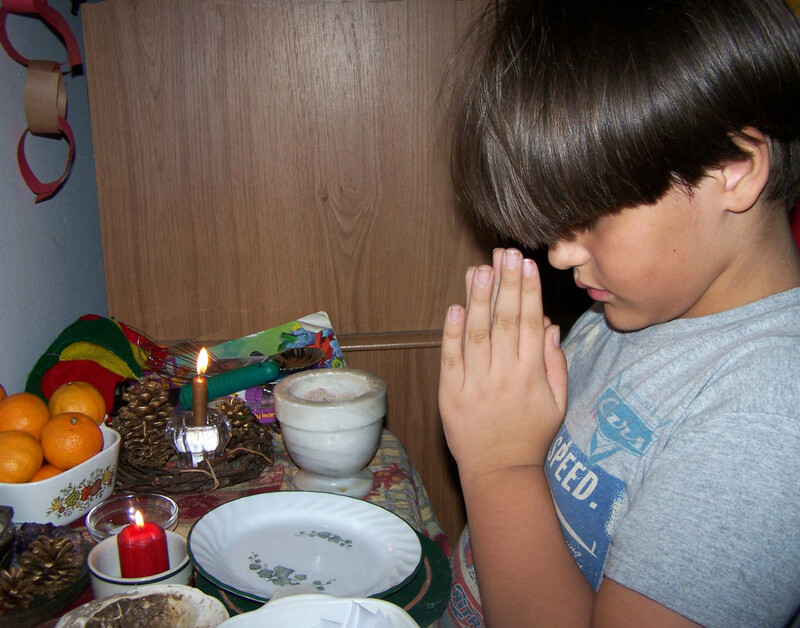 -How do I convince my christian parents to let me have a pentacle? So history lesson here. The pentacle was not originally used in wiccan and pagan practices. Christians used to us the pentacle as they use the cross today. It represented protection, as well as the 5 human senses (sight, hearing, touch, smell, and taste) and the 5 wounds of Jesus (2 on his feet, 2 on his wrist, and one to his chest with a holy spear) The Ring of Solomon is also mentioned. It was a gift god gave him to help him call demons, and talk to them. I would recommend to do your research here. Look up Pentacles, Pentagrams, Inverted Pentacles and Pentagrams. The Ring of Solomon. Matter over spirit, and Spirit of matter. FYI. The inverted pentagram is not evil. This is a bunch of BULL made up. It's all in how you want to look at the symbol. Ale is not a necessary thing. Drink what you want. If your a fan of pepsi, coke, sweet tea.. Whatever. It's your choice. -Is a censer an incense burner? -What kind of cakes are being represented? Depending on the ritual depends on the cakes. These are chosen to correspond to the ritual at hand. But again like the ale. It's your choice. Get a fat kid cake from the gas station. It's the same. If your doing a ritual that represents a passed over relative, and they like chocolate cake the most. It's best to have incorporate that as your cake instead. -What is libation? Is it an offering? From your "ale" you would pour a little on the ground as a offering to spirit/deity. Libation is a just a fancy word for offering. So yes. I hope this truly helps you in your future studies. Have a wonderful day! I'm also very new to wicca, and I find this very helpful! I just have a few questions. -What if your religion isnt wiccan but involves (very strongly) wiccan practices and magic? Do you represent your deity on the altar still? Please get to me as fast as you can, and have a stellar day!